Be the first to share your favorite memory, photo or story of D. . This memorial page is dedicated for family, friends and future generations to celebrate the life of their loved one. 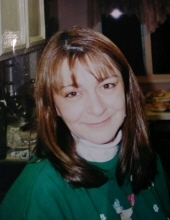 Soldotna resident, Mrs. D. Robbin Szczesny, 61, died Friday, Jan. 25, 2019 at her home with her family by her side. The family will be receiving visitors 2:00 p.m. Sunday, February 3rd, 2019 at their home. Robbin was born Feb. 24, 1957 in California. She moved from California to Alaska in 1960 as an infant. She has lived in Soldotna most of her life, but also lived in Fairbanks from 1971 to 1972. She graduated from Kenai Central High School in Kenai. Robbin spent many years working in the restaurant industry and most recently worked for the KPBSD from which she retired from in 2014. She also enjoyed working part time at the Flower Shops. Robbin enjoyed gardening, crocheting, flower arrangements, fishing, crafting, and being the best grandma. She also loved floating the Upper Kenai River. She was preceded in death by her parents, Kirby Stone and Charlotte (Epps) Stone. She is survived by her husband, Andrew Szczesny of Soldotna; daughter, Stacey Perkins of Marietta, GA; son, Travis Sartain of Texas; brother, Terry (Lori) Stone of Sterling, Alaska and 8 grandchildren. Arrangements made by Peninsula Memorial Chapel & Crematory. Please visit or sign her online guestbook at AlaskanFuneral.com. "Email Address" would like to share the life celebration of D. Robbin Szczesny. Click on the "link" to go to share a favorite memory or leave a condolence message for the family.